This beer is AWESOME! Great for summer. 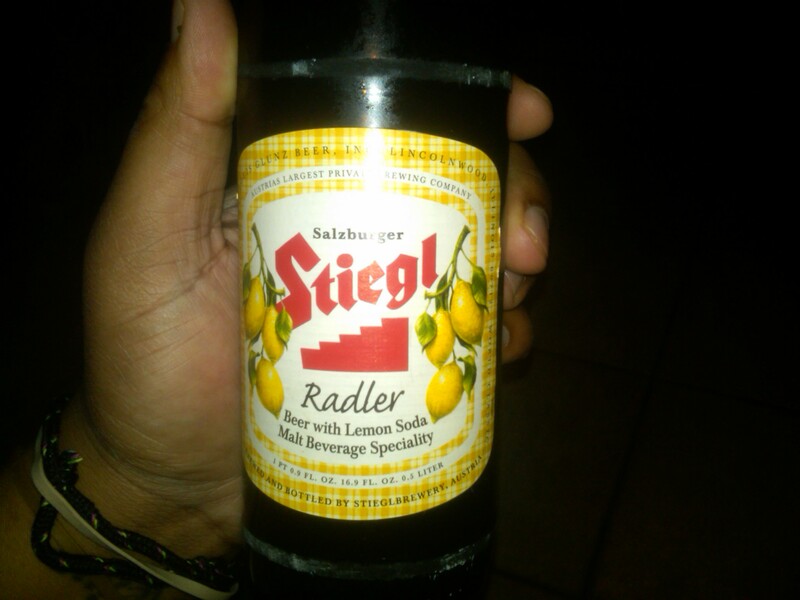 It’s 50% Stiegl-Goldbrau Premium Lager and 50% Lemon-Lime Soda. In Germany they call it a Shandy. This is real good. I found it at my local Asian market, Lee Lee’s. Anywhere that sells international liquor should have it. It’s worth the 2 bucks. « Ye’ has a “new” label….